The Christian Mobile App Development Team does all the heavy lifting to deliver you a mobile app. The Christian Mobile App team is with you every step of the way. Christian Mobile App is a powerful mobile application platform. The Christian Mobile App Development Team will create a professional looking, revenue-generating mobile app for you. You provide the information and we do all the heavy lifting. If you choose, we can even manage your app marketing campaigns for you. We are with you every step of the way. Why Christian Mobile App is the best custom-app in the industry. Ten steps to growing your church with a Christian Mobile App. 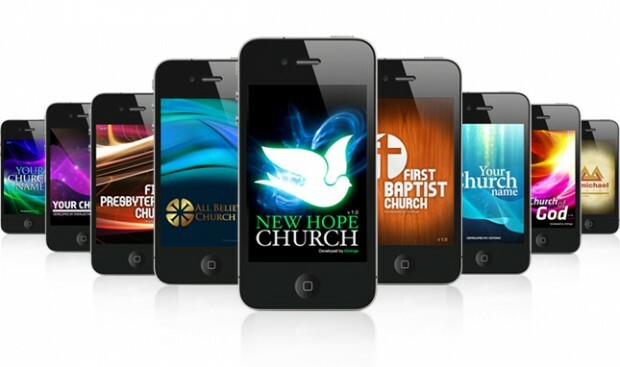 We make it easy for your Church to have a Christian Mobile App, and for your church to unlock the power of mobile apps. 1. Learn about Christian Mobile App through a Demo, or talk to one of our Account Specialists. 2. When you are ready, sign-up for an Christian Mobile App. 3. Work with a Development Team Member to plan what features you want on your Church’s mobile app. 4. Add optional advanced features – you decide what’s appropriate for your church. You can always add optional features later. 5. Provide us with your logos and graphics, so we can provide a fully-branded environment for your app. 6. Our team will automatically link the app to your church’s website, blog and social sites . 7. We provide you with marketing materials that will get customers to download your app. 8. We show you how to manage mobile app campaigns for your business. You will be pushing campaigns and content from your app in minutes. 9. Take advantage of our Managed App Program. We can manage mobile app campaigns and marketing for you. 10. Our Customer Service Team is available to help you with questions and issues. We will help you make the most of your Christian Mobile App.